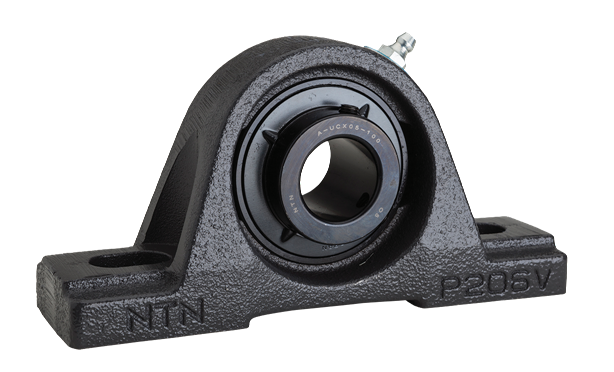 Regardless of your industry type, NTN offer a diverse series of mounted bearing units to fit your application. Where sealing is paramount in heavy-duty applications, NTN also offers a sealed-unit approach that provides even more protection than that found with the two-part series. Series such as the SPW and SFCW product lines feature a sealed spherical bearing that offers corrosion protection in these environments. The single-piece housing offers solid composition, which ensures excellent mechanical integrity and shock stability. 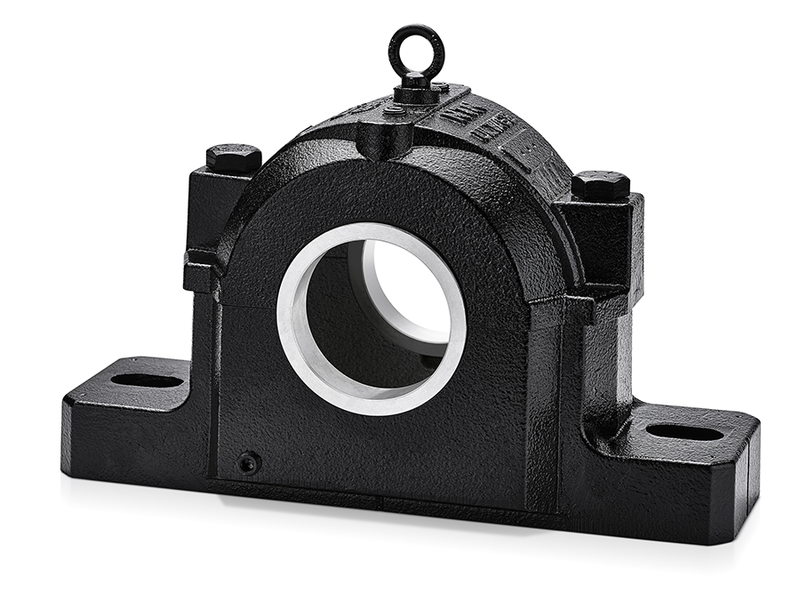 NTN ULTAGE® SAFD ductile iron pillow block housings have been designed to provide superior performance in a variety of demanding applications. 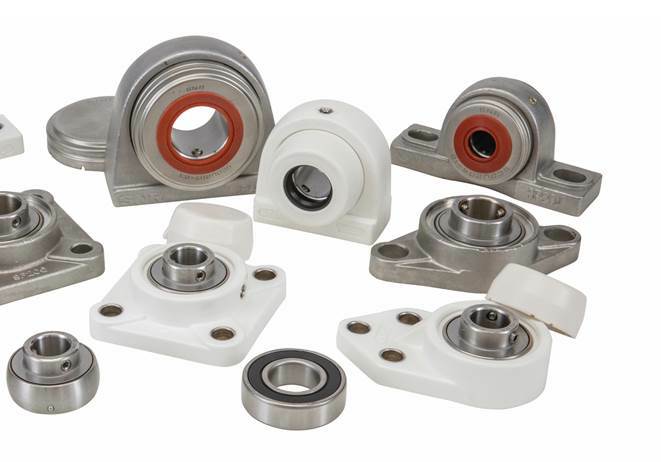 Optimized to ensure premium bearings operate to their full potential, these split housings offer flexibility for the designer, as well as, improved reliability for the maintenance professional. These rugged, ductile iron pillow blocks have a higher tensile strength and better elasticity than cast iron. Built to perform in the most demanding applications, ULTAGE SAFD can withstand the high load, shock, and contamination associated with the toughest industrial conditions. They are also well suited for extremely cold temperatures. ULTAGE premium SAFD split pillow blocks can be used in mining, aggregate and cement, metal processing, forest products, water management, and air handling. Common applications may include conveyors, roll out tables, metal recyclers, and industrial fans and blowers. Thanks to the upper body belt design, NTN ULTAGE SAFD housings have a particularly high stability and rigidity. The enhanced design increases the dimensional stability of the bearing seat under heavy loads and helps optimize vibration behavior. NTN’s Ultra-Class™ mounted unit line is the original solid base offering in our mounted bearing unit portfolio. It symbolizes our commitment to performance and reliability. Featuring NTN’s exclusive ball-point set screw design, the Ultra-Class™ black-oxide plated insert provides 120° screw orientation to provide superior alignment and centering, compared to typical 90° configurations. The semi-retractable, ball-point mechanism means excellent tightening torque characteristics without damage to the shaft-mounting surface. Protection in both wet and dry particle environments is paramount when selecting a mounted unit solution, and the Ultra-Class™ series is up to the task, allowing for usage even in food-grade environments. 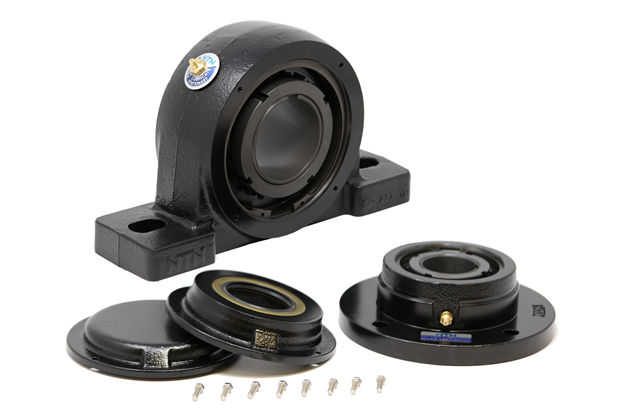 Using a combined elastomeric seal in tandem with NTN’s outer flinger design, each mounted unit exhibits a fan-like mechanism that keeps particles from getting near the inner ball bearing and raceways. 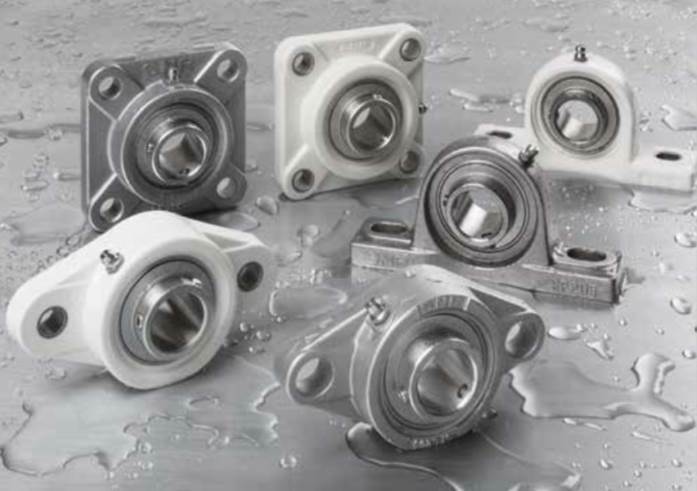 NTN's Sentinel Series is a premium line of stainless steel bearings and bearing units featuring food-grade solid lube with covers. The Sentinel line is designed for maintenance-free, washdown-resistant product lines in food and beverage applications. NTN's flagship line is designed specifically to decrease downtime and increase profitability. All Sentinel Series products have 100% stainless steel inserts and ball bearings filled with H1 food-grade solid lube. 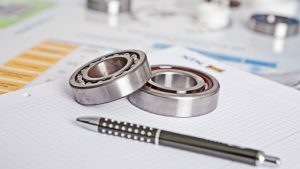 The Sentinel line requires no maintenance for the life of the bearing- simply install and start saving time and money. Food-grade solid lube is a polymer impregnated with H1 food-safe oil, which helps prevent lubricant washout. Oil is stored in a porous solid material that acts like a sponge and releases the necessary base oil to lubricated the components as it rotates. The entirety of the Sentinel Series line come standard with protective covers (caps) for units that provide additional protection against contaminants and moisture, while adding additional safety for maintenance personnel. The Sentinel Series offers both stainless steel housings and thermoplastic housings.